Each and every professional user has to face the misery of database corruption once or in frequent basis. However, there are some tracts available to rescue it with tools provided by Microsoft. Whenever EDB gets corrupt, there are mainly two options available to get the database back to the normal state or in the healthy state. The two available ways are restoration or repairing the database. The restoring is a process which is based upon database backup, you can utilize this option while you have efficient backup whether you have to go through the second option available as repair. Frequently, Microsoft built-in repair applications – Eseutil and Isinteg are using to repair EDB. Well, both tracts have their own set of advantages and disadvantages. The restoration tract is the easiest way to accomplish the tasks however, it’s not worthy if you don’t have updated database backup. The repairing tract is a little bit good with the built-in repair utilities – Eseutil and Isinteg. But should keep in mind, it is auxiliary for mere minimal corruptions. The Eseutil assist in recovering the database with the assistance of two procedures – soft recovery and hard recovery. The first and the mandatory point is, you should take care of your database. So, take a valid backup of current EDB database with its log files and save it at a safe location. The taken backup database will help you out, in case your actual database get corrupted while execution of repairing with Eseutil command. Be assured of adequate space on the disk or drive to execute a successful data recovery. Since repaired database obtain free storage space up to 20%. If this requirement cannot fulfill; then ensure that windows command line should also include a command to redirect the repair Exchange Database file on other location. Calibrate the free space in your disk by searching your application log for Event ID 1221. Alternatively, utilize Eseutil MS utility for the current calculation. Check that the.STM and.EDB files exist in the same directory or not. Eseutil commands merely execute on online database, therefore, the requirement for dismounting the database during EDB repairing of 2010/ 2013/ 2016 is almost nil. Well, the articulation cannot accomplish without knowing moreover about errors. So, here I’m going to put some more facts and variable of errors occurs in MS Exchange. 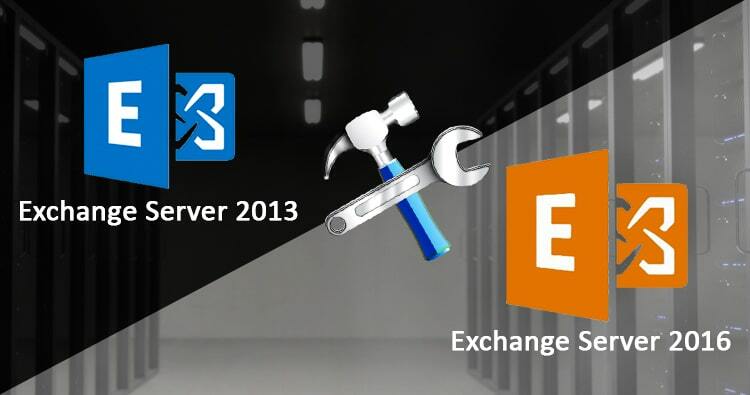 Exchange 2013, 2016 Database Repair through Eseutil an Isinteg is used for the given MS Exchange errors. Errors occur in Provisioned Folder: When inside of folder structure gets an error for special or diverse mailboxes. Those folders are known by the name of Provisioned Folder. Errors obtain in Search Folder: Albeit Search folder are utilizing to detect and fix the exists corrupt file. However, there are instances when Search Folders are identified with errors. Error happens in Specific Folders: The demonstrated content in specific folders gets allied with errors which cause wrong results in View Folders. If the particular folder is incapable to come back with the correct. These errors may corrupt EDB, and can also get corrupt due to diverse other factors too. These factors are improper system shutdown, malfunction, virus invasion, software or hardware failure, may Jet Engine failure too. The above-given errors can be fixed utilizing Eseutil and Isinteg. However, various versions of MS Exchange are repaired differently. So, I’m going to give you an idea of repairing MS Exchange 2013, 2016 database only. Three process of Eseutil and Isinteg commands execution. Go through with the given below steps to execute repairing of Exchange 2010 database. When there is no chance left to restore EDB through the backup. You will have to utilize the Eseutil/p command. The Eseutil/p command can resolve the individual database tables, but this MS Exchange utility cannot make links between databases tables. The link can join through the Isinteg MS Exchange utility. NOTE: The offline Exchange Defragmentation is not suggested as a steady patronage option. Because it’s different from online defragmentation as the latter runs every night and doesn’t allow recovery of white space. The Isinteg command transacts with rational corruption inside structure of EDB. The Isinteg command assists in removing all corruption elements. But the problem arises when MS Exchange utilities are incapable to resolve the corruption in EDB. It is mandatory to calibrate that EDB 2013, 2016 for any activity. Afterward, utilizing Eseutil or Isinteg to resolving the error in corrupt EDB. Check the EDB results may results not worthy for you or you may get an unexpected solution for the error. Every professional user are aware of MS Exchange utilities Eseutil and Isinteg commands, may they also know the limitation of these commands. There could be some problems where the MS Exchange applications fail to execute, considerably in repairing harshly corrupt EDB. It’s recommended that MS Exchange shouldn’t be assistive in massive corruptions instantly, else these steps may result as a disintegration in business communications. Technical Experts recommend an alternative software to resolve massive corruptions using Shoviv Exchange database recovery software. This is proficient software to resolves massive corruption. It supports MS server 2016, 2013, 2010 and entire older versions too. Hope, you liked the articulation based on the crucial lifeline of communications. Every exchange is the lifeline of a business, it should be running 24*7. This articulation will help you out from every type of EDB’s error if you try with the suggested step. Note: We have another option named Exchange Recovery Manager tool to repair Exchange 2016, 2013 database. It has a free Trial version as well.